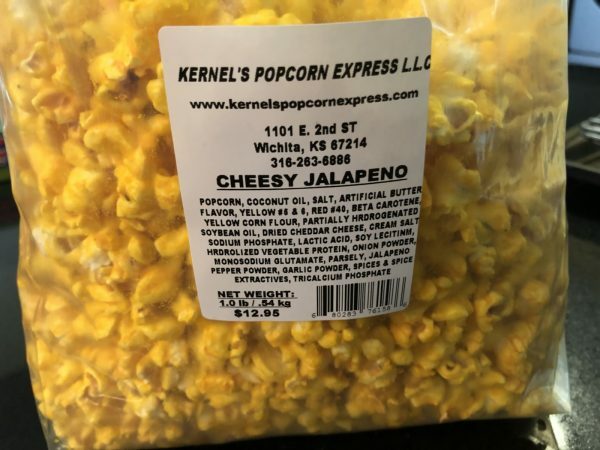 Kernel’s Popcorn Express Review – Wichita By E.B. One of my favorite past times is going to Mort’s Martini Bar to eat jalapeno popcorn and then order a side of vodka. I constantly rave about it when I’m there. 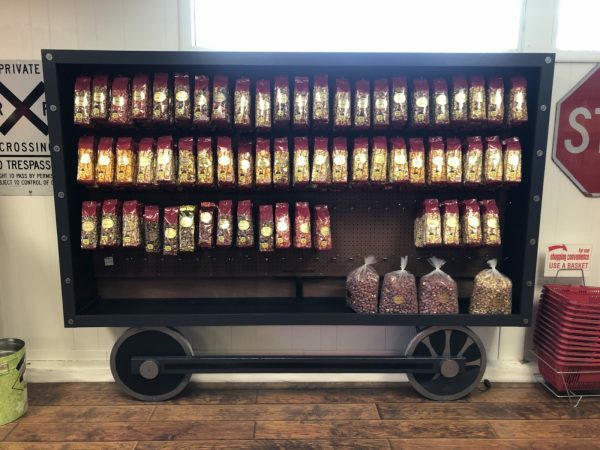 One evening on their patio, someone turned to me and said, “You know you can get that stuff at Kernel’s Popcorn Express, right?”. It never dawned on me you could get vodka at a popcorn store. The next morning I came to a sobering truth he was actually referring to the popcorn. 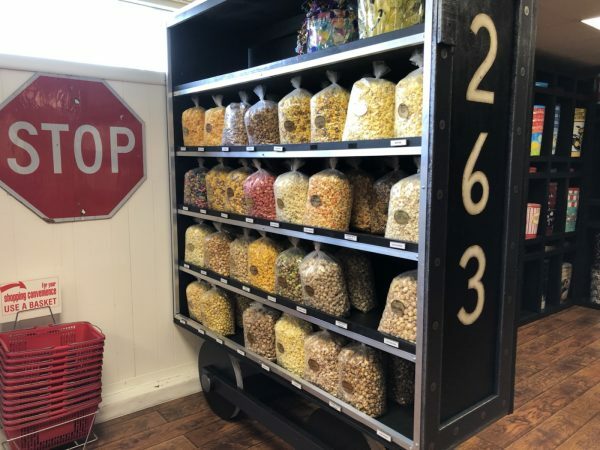 Kernel’s Popcorn Express has been operating for over 30 years. The new owners took over in 2010 and now operate out of their downtown building on 2nd street. 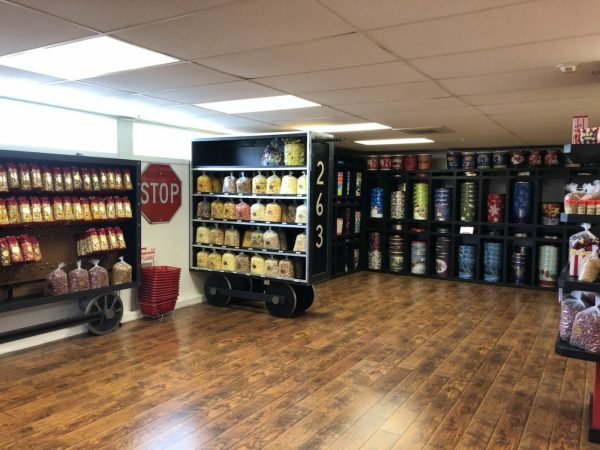 I stopped by with the kids to pick up some popcorn and check out their store. 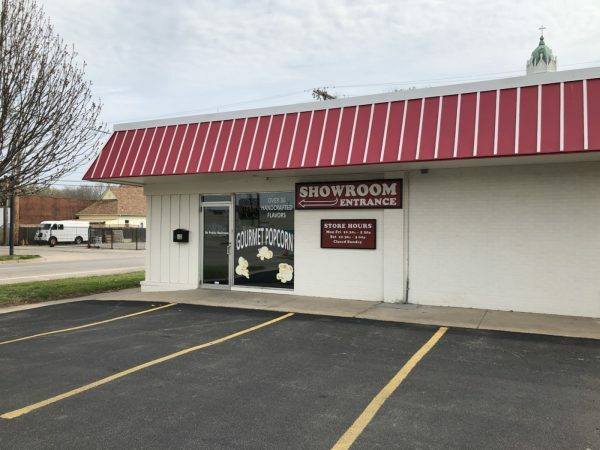 While you can order their products online, their showroom is a great place to do a little local Wichita shopping if you like to leave the house. They had two sizes of bags on display. The smaller bags were around $4 while the bigger bags cost $10-13. What did the kids love most about the showroom? Free samples. Kernel’s had all of their flavors available in little containers you try. It really helped the kids make informed decisions as consumers. 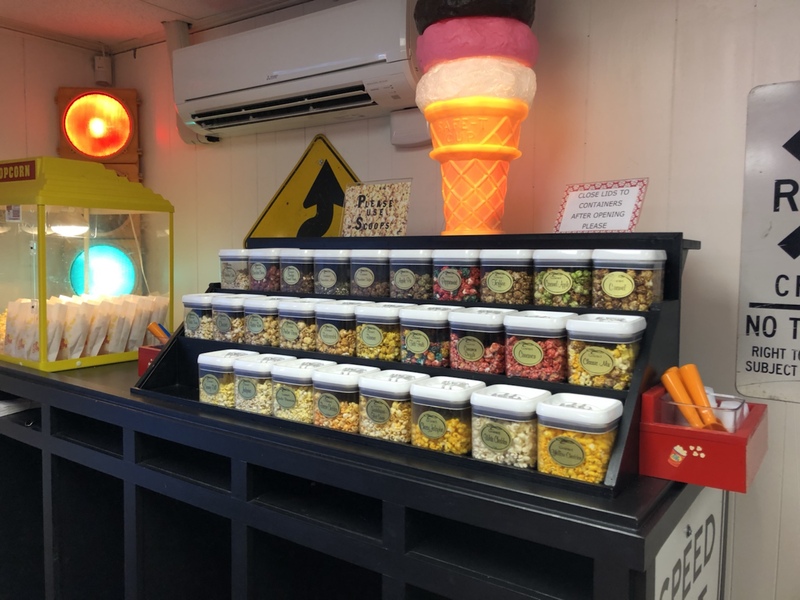 After sampling a few different flavors, they settled on Tutti Fruitti which was 12 fun fruit flavors in each bag: Banana, Black Cherry, Blue Raspberry, Blueberry, Grape, Green Apple, Lemon, Orange, Raspberry, Red Cherry, Strawberry, and Watermelon. I picked up some cheesy jalapeno and peppermint. I sampled their churro flavored popcorn and should have picked up one of those bags too. To be honest though, every flavor we sampled was excellent. When we arrived home, the kids LOVED the popcorn and devoured their bag within minutes. If only they could eat regular food that fast. 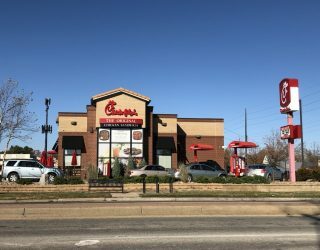 I was very impressed with their offerings and selection and would certainly go back again. Being located downtown, it’s a very convenient stop. Plus the owners were incredibly kind and engaging with the kids on our stop. They can’t wait to go back. 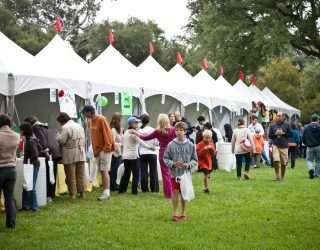 And aside from all of that, their jalapeno popcorn is one of the best snacks in town!